CATHERINE BROGAN, the performance poet, educator, and social activist is coming to Galway as part of her Wee Irish Tour, and will be in Charlie Byrne's Bookshop on Thursday May 28 at 8pm. Omagh born, and London based, Catherine's performance poetry deals with growing up in Omagh; moving to a squat in London, using her poetry as a way of 'coming out' after years of feeling unable to do so living in Northern Ireland, and her experiences of Occupy London at St Paul’s Cathedral. Her poetry has met with much acclaim. Guardian columnist Giles Fraser has called her "smart, angry, funny and right on the money"; Time Out described her as "witty, wise and a great entertainer. Her poetry makes the personal political & the political personal"; while Write Out Loud said she was "a stand-out performer". Catherine is a winner of the the BBC Edinburgh Fringe Poetry Slam. 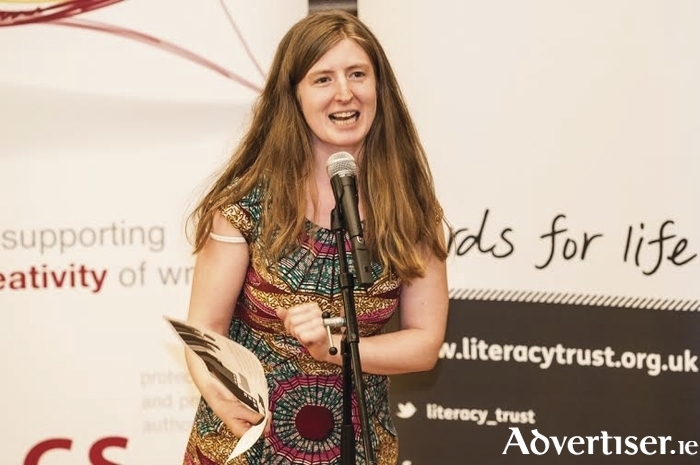 Her poetry has featured on The Today Programme, BBC Radio 4, BBC Newsnight, and at the Latitude Festival and Cheltenham Literary Festival.